Kristen and Matt declared their undying commitment to each other in January of last year. 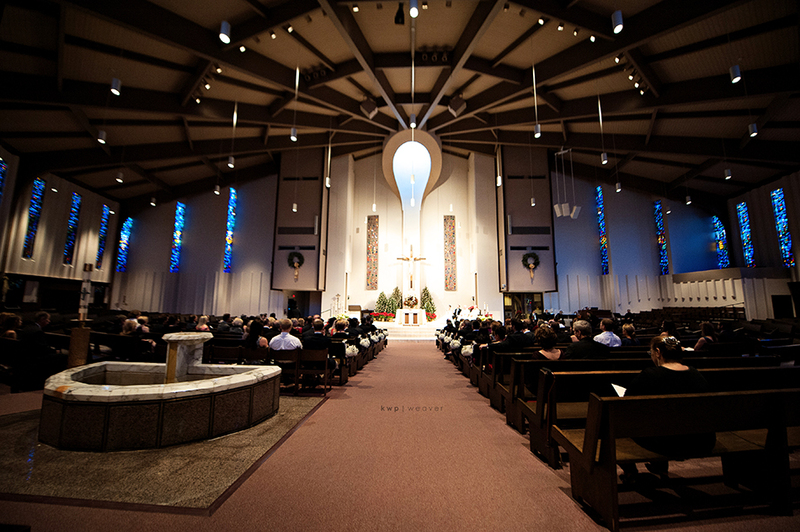 You can feel the power of love at the Saint Margaret Mary Catholic Church ceremony in Kristen Weaver Photography‘s photographs. 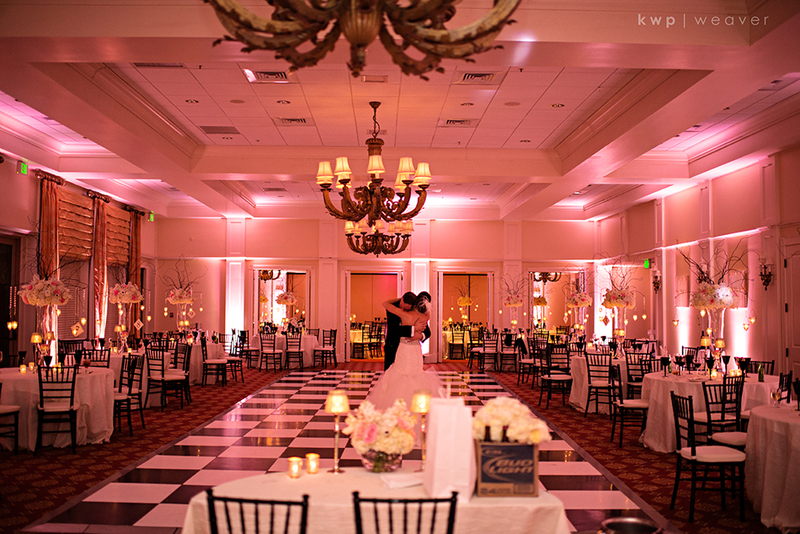 The ceremony was the perfect balance between fun and classical. 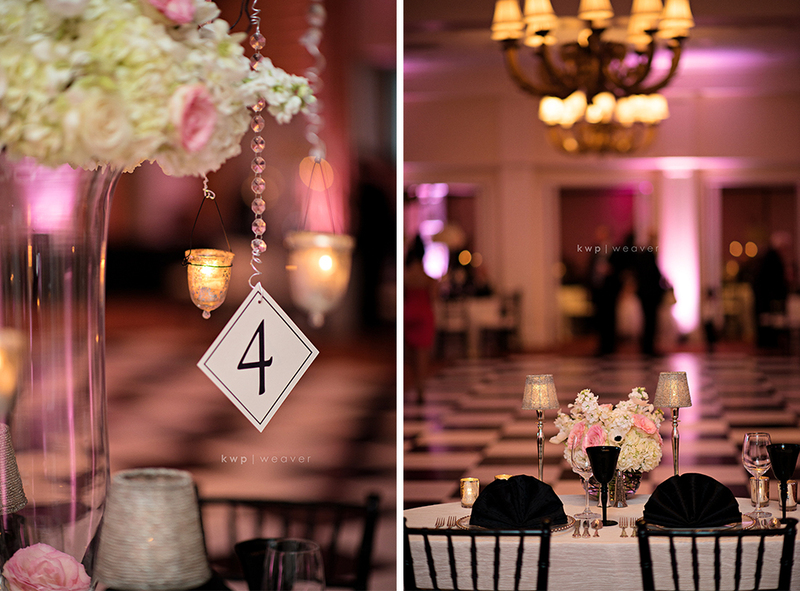 The pink and black color scheme fit the Interlachen Country Club to a T! 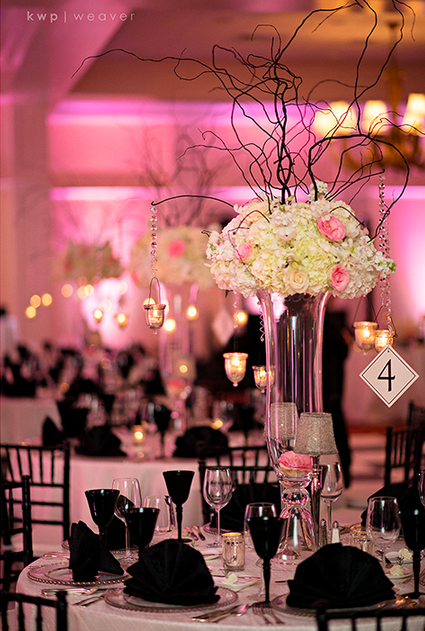 Lee James Floral‘s rose and hydrangea bouquet looked amazing in the glass vases with tea lights handing off branches. 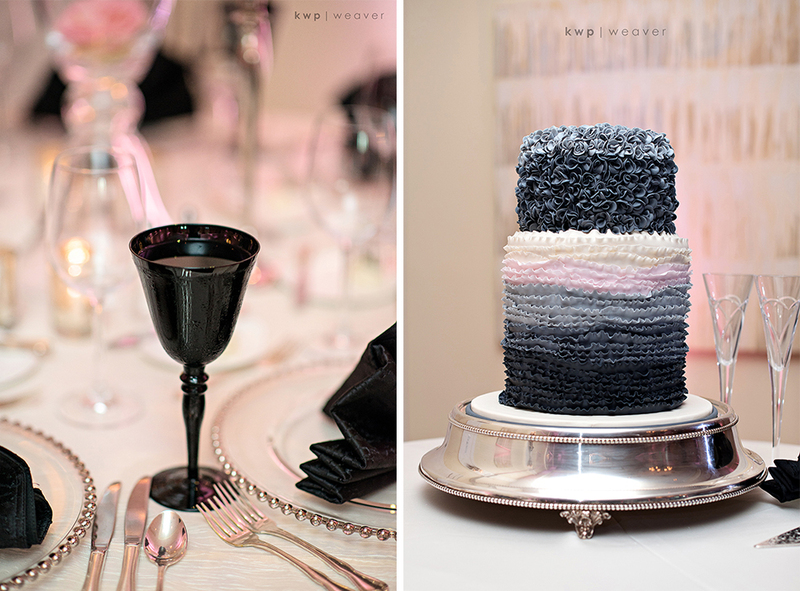 Our black chiavari chairs and clear Belmont beaded chargers were the perfect accents! Bake Me A Cake‘s desserts were so beautiful you almost didn’t want to eat them! 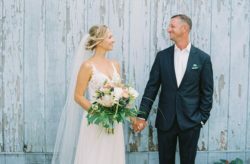 We has so much fun with this wedding! We’d love to highlight all the talented companies involved!